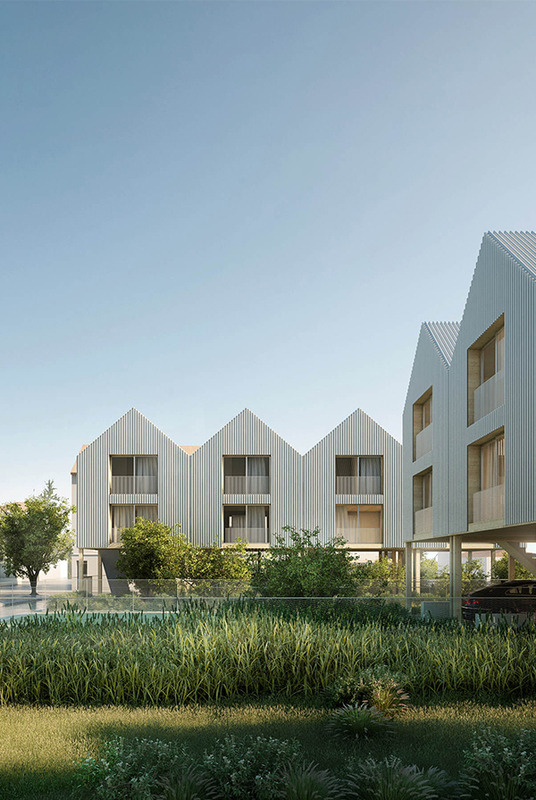 GFC has been selected between other offices to realize 32 dwellings in Montreuil. Soon more information and images about the project. 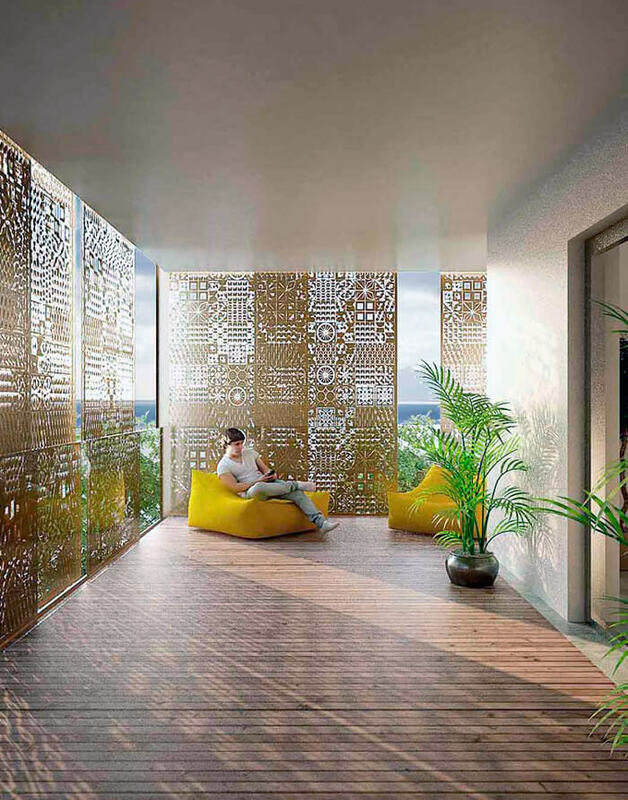 The materiality of the facades and the wooden construction system emphasize the criteria of sustainability and limitation of the carbon footprint. Each house can be personalized with a different cladding. 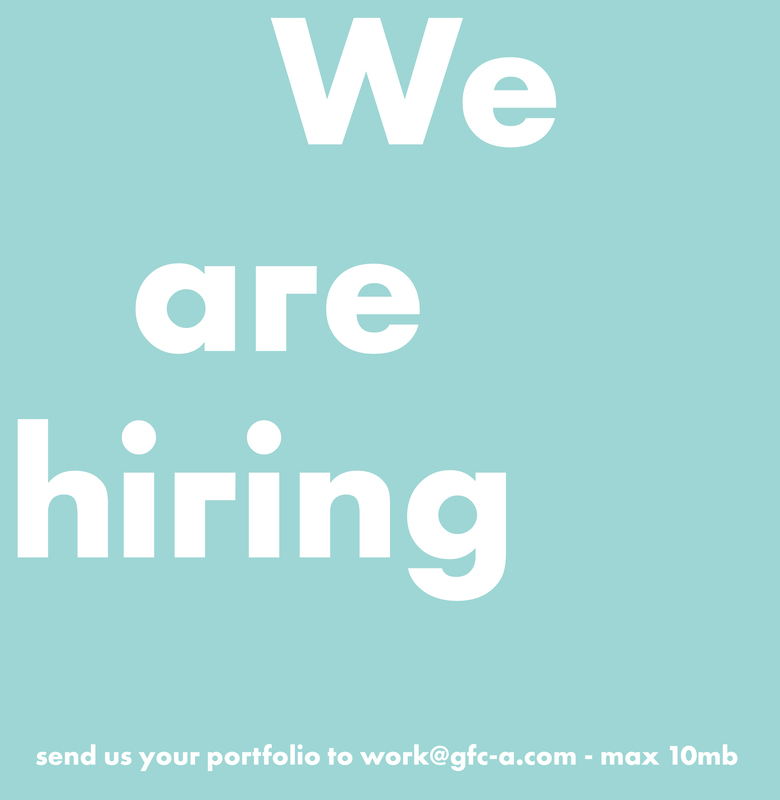 We are currently looking for an architect (6-12 months experience in housing in France), an intern in architecture and direction and development assistant (experience in public tenders, or interest to learn required). If you are interested and your profile matches, thank you to send us an email with your CV and portfolio to [email protected] specifying in the subject for which position you are applying. Andrea Guazzieri, together with Umberto Napolitano, will be one of the two tutors of Diploma 5 at AA School in London. 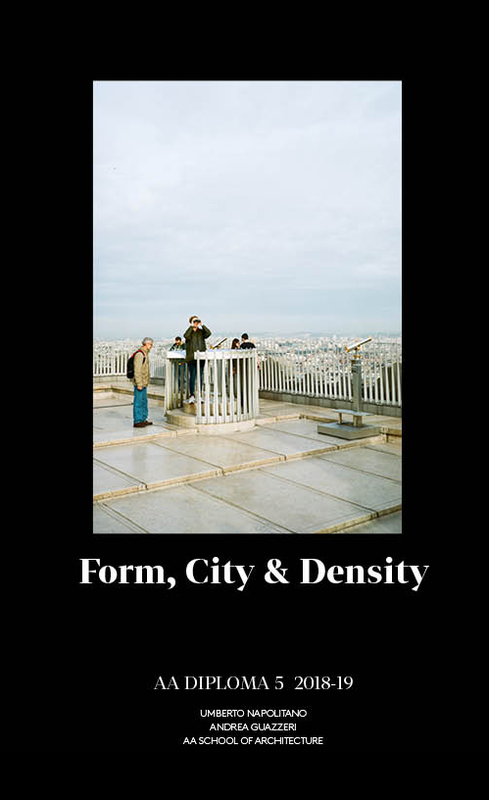 This year Diploma 5 will focus on Pairs, questioning the relation between form, city and density. 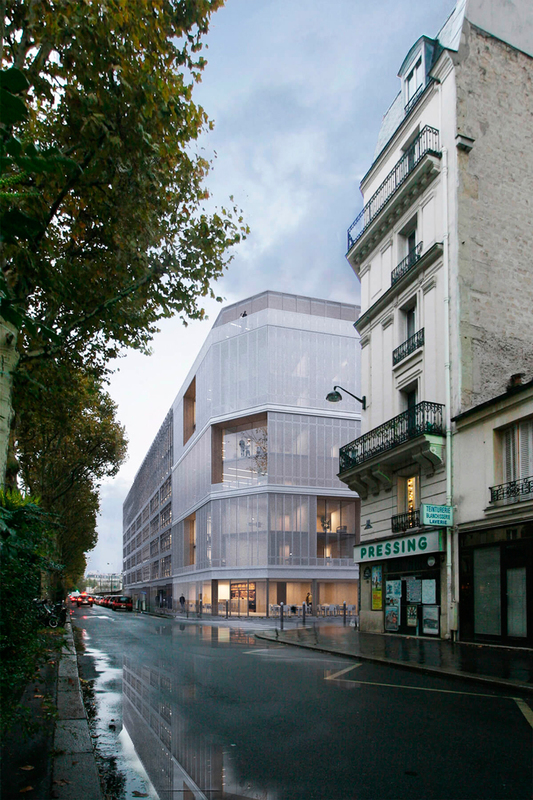 GFC has been selected to design 7 individual dwellings near Paris. of the challenges of this project is to preserve a strong transparency between the street and the interior of the island. 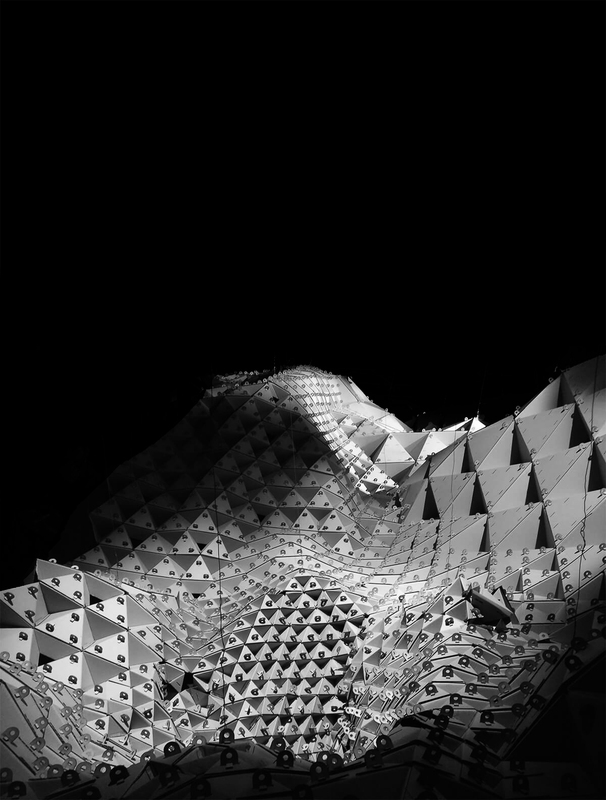 The interior and exterior systhem of double skin allows to create a filter in front of each dwelling. Thus, each of the 71 homes, from studios to apartments, benefits from a winter garden on the entire length of its facade, thus benefiting from an additional 1/4 additional surface area. This outer space becomes the natural extension of each apartment in the hot times. For the third time, Raul Forsoni will attend core 1.1 at Fontys Academy in Tilburg, NL. 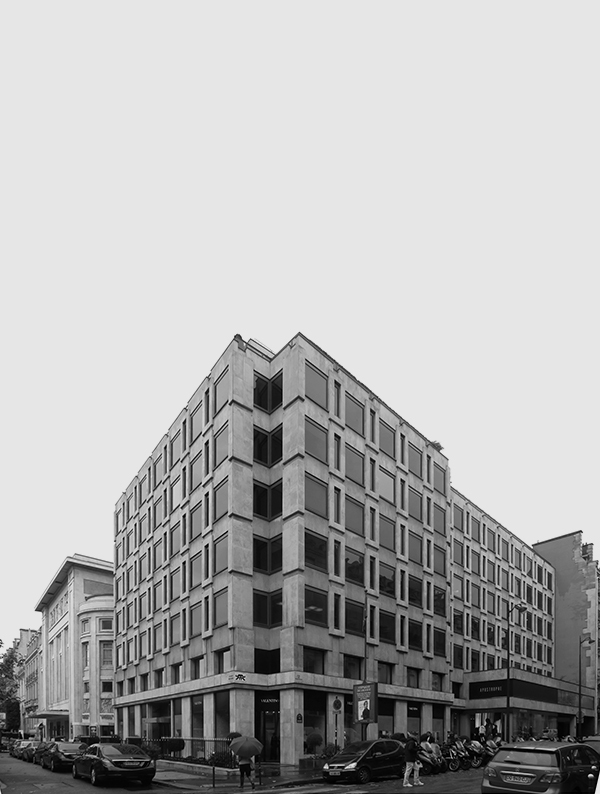 We are currently busy on a feasibility study for a project for the restauration of an office building in Paris, together with Paris based office LAN. 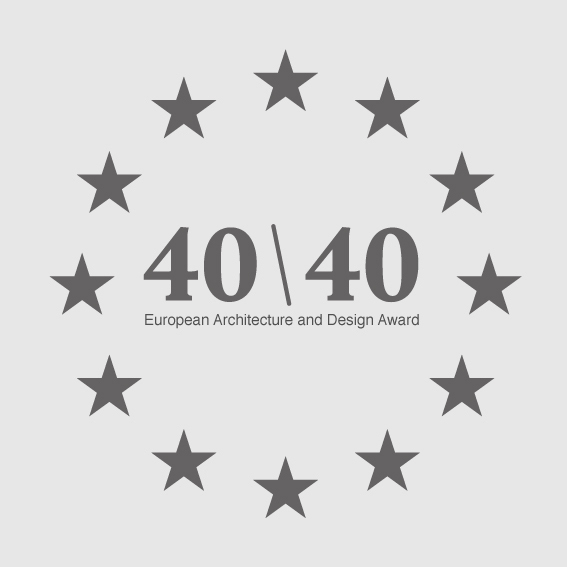 Our project Ex-changing production has been awarded with the second price for the site of Pantin in Europan 14! A special thanks to all out team! 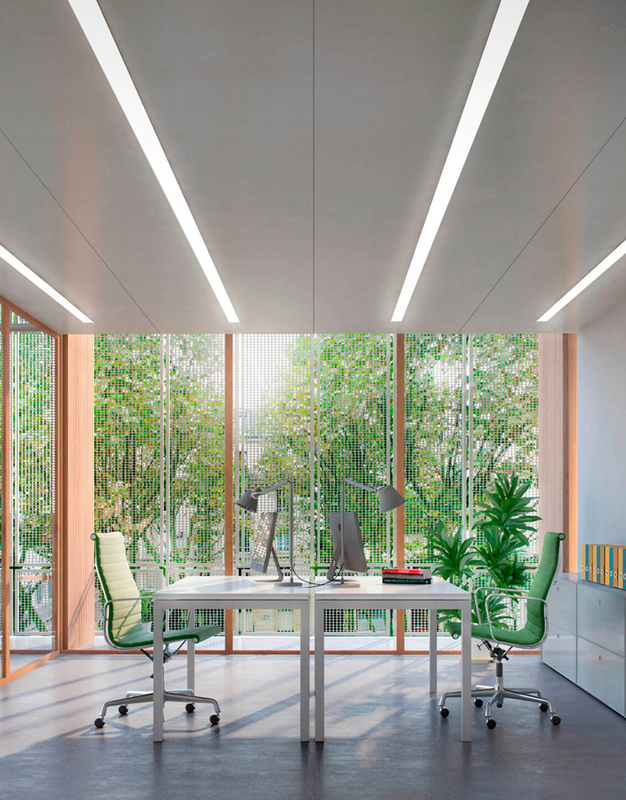 The offices are organized around 5 double-height spaces that can take on different functions as needed: meeting rooms, exhibition spaces, private areas or places to relax. These spaces are the real living places of the building. Visible from the inside and the outside, these spaces will be the showcase of the company’s activity. During the day, on anodized aluminum facades, the reflections of the colors of the environment prevail over the perforations of the panels, defining the pure form of the building. At night the game is reversed: the light of the trays makes the facade permeable and transparent. It reveals the inner life, as well as the organization and character of the architecture. The urban environment is an ecosystem of memories and relationships, it may happen that such balance suddenly disappears and cities, built in thousands of years, suddenly change. 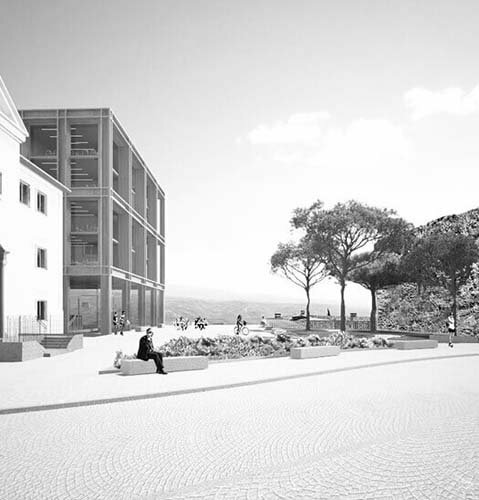 With the demolition of the Hotel Giorgione, the system of public spaces has been enriched with a panoramic view revealing the surrounding valleys and the remains of the Norman Castle. The entire program is enclosed in a compact volume that elects the landscape as the fourth front for the creation of a new panoramic square.